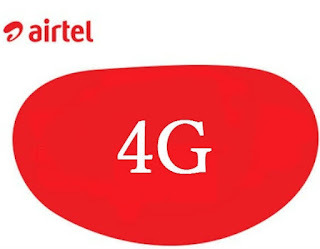 Indian Posts: Free 10 GB 4G Data For Recharge of Rs 259 on Airtel Network !!! Free 10 GB 4G Data For Recharge of Rs 259 on Airtel Network !!! Airtel on 19 Oct 2016 announced that Airtel customers with new smartphones will be entitled to free 10 GB 4G data on a recharge of Rs 259. The offer is limited to 4G mobiles and can be availed within 30 days from the purchase of the mobile phone. However, recharge price may differ from circle to circle. After the recharge, 1 GB data will be credited instantly and the rest 9 GB can be claimed by the customer through MyAirtel App. A single user can avail three recharges within 90 days on the offer and each recharge will be valid for 28 days from the date of recharge.